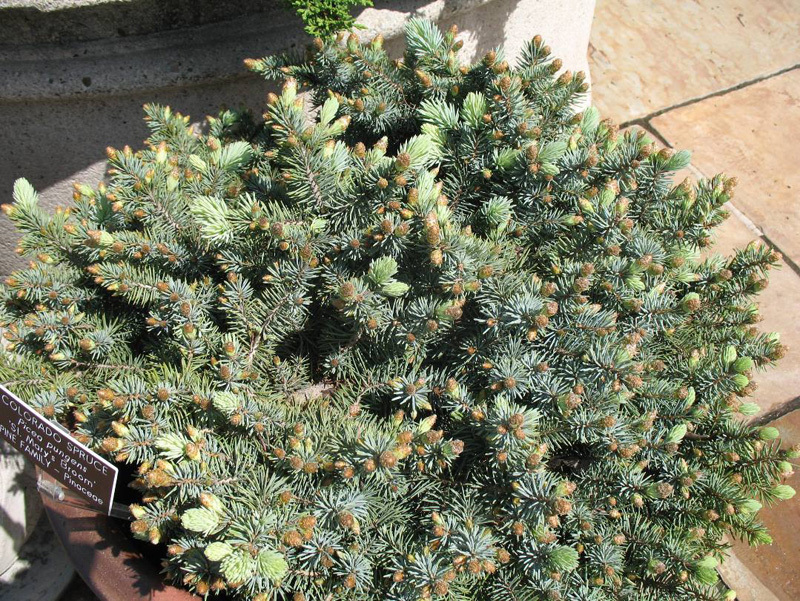 Comments: This is truly a very dwarf, dense, slow growing mound with steel blue needles. growing. It does not have a tendency to grow a central leader. Use as a ground cover, but notin large areas. This selection was discovered as a witches broom mutation.